As you probably know, your property is equipped with underground sewer lines that transport wastewater from your toilets, sinks, and showers to the sewer mains. Most of the time, your sewer lines are something you don’t even notice. However, occasionally sewer clogs can build up over time, causing some serious problems that need sewer repair services. Sewer clogs are nasty, potentially causing property damage and creating a health hazard. 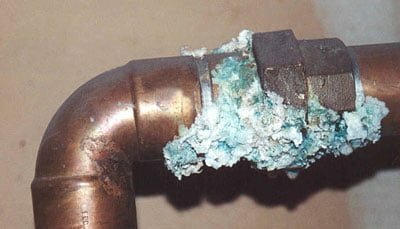 When the problem is severe, sewage can even backup into your household plumbing. Because sewer clogs are such a severe issue, it’s important for NJ homeowners to pay attention to potential warning signs that indicate a problem with your sewer lines. If you wait too long to take action, you could have a serious mess on your hands. If you’re dealing with a clogged sewer on your property, you should call professional a NJ plumber right away. 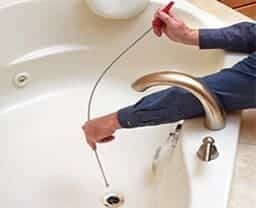 There are a number of common household plumbing issues in New Jersey, like a clogged toilet or a leaky sink, that you might be able to fix yourself. 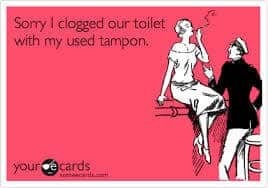 However, sewer clogs aren’t a DIY problem. Fixing sewers is a messy, complicated job that’s best left to trained professionals who have the right equipment for the job. There are several common red flags that usually indicate a sewer clog. More than one drain is backing up. Individual drains in your sinks or showers can easily clog up, which is often fairly easy to fix. However, if more than one of your drain is consistently backed up, it could be a sign of a more serious problem with your main sewer line. In many cases, the drains will also make an unusual gurgling sound. Water is backing up in unusual places. Along with multiple drain backups, a clogged sewer main can also cause water backups in unexpected places. For example, your bathtub drain might back up whenever you flush your toilet, or you kitchen sink might overflow when you wash a load of laundry. Your sewer clean out is leaking. A sewer clean out is a special pipe that allows acess to the sewer line. It’s often located somewhere on your property, along the sides of your home. Once you locate the clean out, you should remove the cap to check for water flowing up out of the pipe. This indicates a clog. Seeking Professional Sewer Cleaning or Sewer Repair? If you’re experiencing these common signs of a clogged sewer main, you should call a NJ plumber as soon as possible. Professional plumbers use specialized equipment to clear out your sewer line effectively, preventing water damage to your property and health hazards from backed-up wastewater. The two main tools that a plumber will use are a drain augur and a fiber optic camera. Fiber optic camera systems allow them to get a direct look, via computer screens, down into your sewer lines. This helps them to identify the actual cause of the clog. There are several things that can cause your sewer main to back up, from nonflushable items to tree roots that grow around the pipes and damage them. The drain augur is a long, flexible device that extends down into the sewer to actually clear out the material that’s built up inside. If you need to unclog your sewer in NJ, don’t wait too long to call someone. Sewer clogs are a major problem, and the longer you ignore it, the worse it will get. Call us today at A1 for fast, effective NJ plumbing services to clear out your sewer. We’ll send one of our trained professional staff out in a fully stocked van, taking care of the problem as soon as possible to prevent any damage to your home and your property.